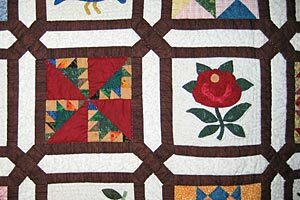 I love the sashing done on this quilt. If anyone has a link to a pattern or instructions to create this wonderful sashing, please post in the comments. 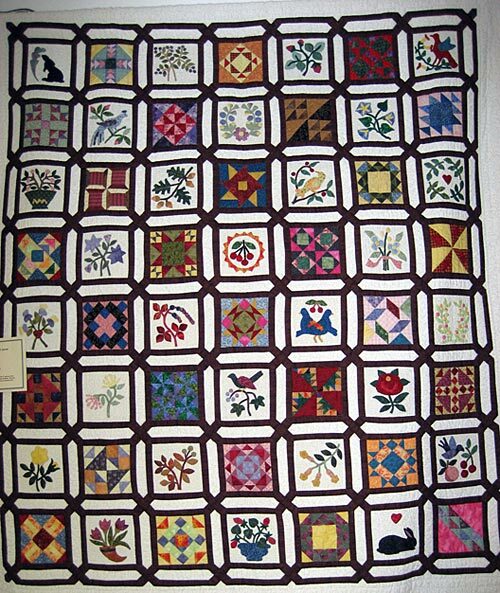 I took this photo at the Upper Canada Village 2007 Quilt Show.